This is the first time failing at exposing a silk screen. Needless to say, I was crushed. The screen was exposed for a few minutes too long with the light a few cm too close. After half an hour of scrubbing to try to salvage the over exposed screen, I decided to try out Diazo emulsion remover and restart from square one. Photo Emulsion Remover - Toxic! The emulsion remover was to be spread over the exposed area, soaked for 1 - 1.5 min and then scrubbed with a nylon brush, rinse, and repeat. The majority of the emulsion peeled off after the first try. Second time around, the remaining emulsion did not come off so easy. 30 min into scrubbing and soaking the screen with photo emulsion remover in a bathtub, my hands and foot exposed to the chemical started to tingle. That was the point I decided that i should stop scrubbing and admit defeat. 30 min into scrubbing the screen...FAIL. 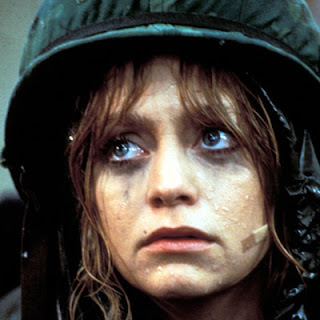 30 min into scrubbing the screen with a toothbrush reminded me of the scene in Private Benjamin where Goldie Hawn's character had to scrub the toilet with an electric tooth brush. a) Trying to remove emulsion is not an easy job, a lot of patience and elbow grease is required. b) Always listen to your roommate, you shouldn't neglect to wear protective gear. c) Failure onto of another failure is okay. Just try again once the numbness from being exposed from the removal chemical fades away. Happy Hump Day! We hope everyone had a good long weekend! Lucky for us, a four-day work week means that TGIFriday is right around the corner. So, what are you doing this Friday? Junction Design Crawl! We can't think of a better way to start off Friday night than going out for a nice evening stroll, where all of our favourite stores will be playing host for the evening. We're already sold on the first two posts by Russet & Empire and Mjölk .....how often do you get to take a picture with the Man on the Moon and eat Icelandic beer-steamed hot dogs?! Check out the official event website here for more up-to-date information.